The idea for this startup venture was something local and rural to appeal to those visiting a quaint area of town just outside Nashville, TN. Rent a Jeep for a day or an afternoon to take that joy ride while you explore the area. 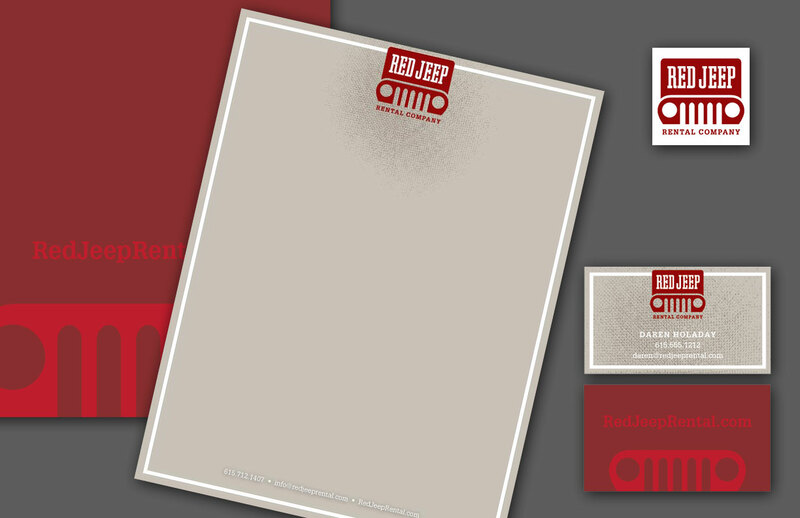 The focus of the design was to make it truly recognizable with the iconic Jeep shape and to create something that felt a little "Nashville" and a little "old school," but still with a clean, finished look and style. I kept the primary red color with neutral tan and gray secondary colors to form the palette. Secondary artwork was created as alternatives for use on various logo materials like signage and promotional items like tshirts and stickers. 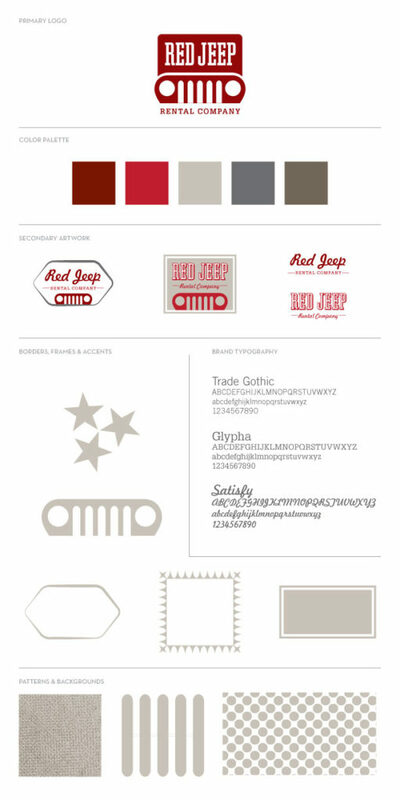 The brand elements include borders, banners, and shapes inspired from retro signage and vintage shapes and letterforms to give it that real hometown feel.